With a wide range of images and designs to choose from, including favorite characters, adorable animals, fantasy images, landscapes, monuments, and more, we’ve got the perfect puzzle for every puzzler. 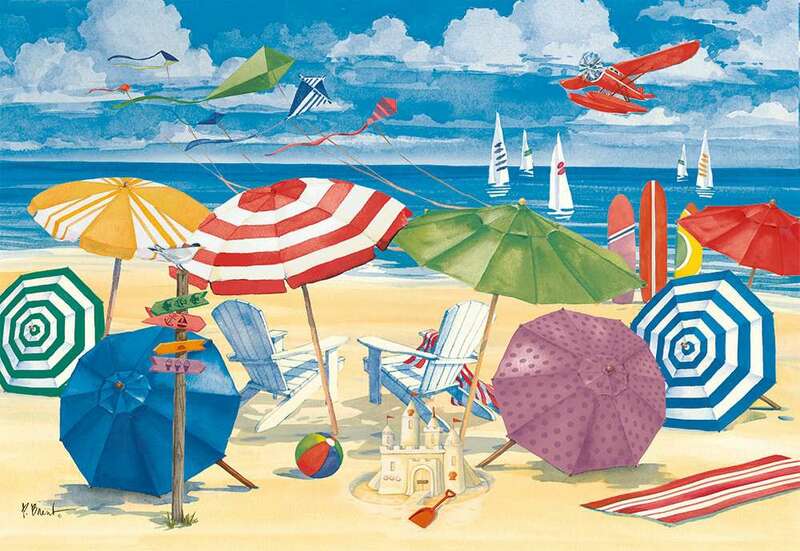 Assemble the oversized easy to see and grip pieces to reveal a peaceful seaside scene complete with colorful, striped umbrellas; white Adirondack chairs; kites; sailboats; and more. 300-piece Large Format Puzzles from Ravensburger feature larger pieces with solutions for puzzlers both young and old in mind. Whether you are new to puzzling, an avid puzzler with limited time, or a puzzler who needs pieces that are easier to hold or see, Ravensburger’s 300-piece Large Format Puzzles are the perfect fit for you!